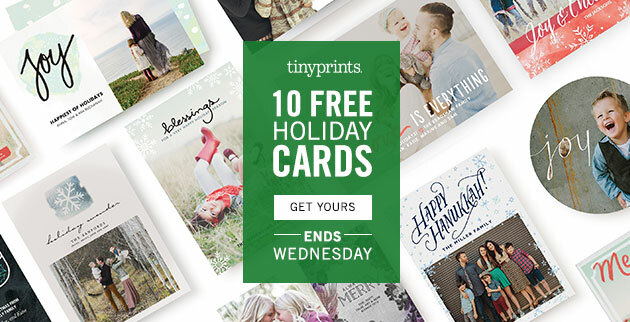 Last week, I mentioned the Tiny Prints deal where you could snag 10 free cards and pay only shipping and handling. I couldn't wait to take advantage of it, mostly because I just wanted to see what our family photos looked like in card-form! They arrived super-fast and I was so excited by how they turned out that I simply had to share. The grand total for these cards was $5.99 (shipping). Not too bad for what would have cost me more than $31 full-price! If you want to order your own, remember that today (November 12th) is the last day you can use this specific code: 10FREECARDS. (If you miss the cutoff, you can still use TPSAVE25FS to get 25% off and free shipping. I tried combining these two codes, but no dice!) All you have to do is design and order your own cards, add 10 to your cart, and use the code 10FREECARDS to get the cards for free. These cards are usually so expensive I could never justify buying even 10 at full price (especially with shipping! ), so I'm recommending this deal as a lady who is always a little too excited about figuring out how to get something for almost-free. The style I chose is called Playful Paint—but it took me a while to settle on one because there are so many gorgeous ones. Darn you, Tiny Prints, and your beautifully designed, expensive cards! Were I rich I would buy 50 of you! I couldn't figure out how to add text to the back of the card (which would have normally been a deal-breaker for me, considering I love including a blurb on our past year). I decided that for these cards, I'll just print out what I want to write on paper, then attach it to the back of the card with washi tape. How adorable! Love the print you chose and the family photo, too. can't go wrong with 10 free cards. I'll add this to my list of to-dos tonight. Also? 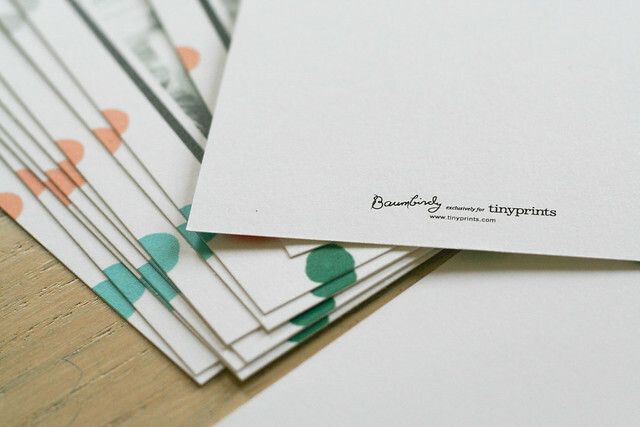 Love the washi tape/blurb about the last year idea! Your cards are so cute, love the family photo! 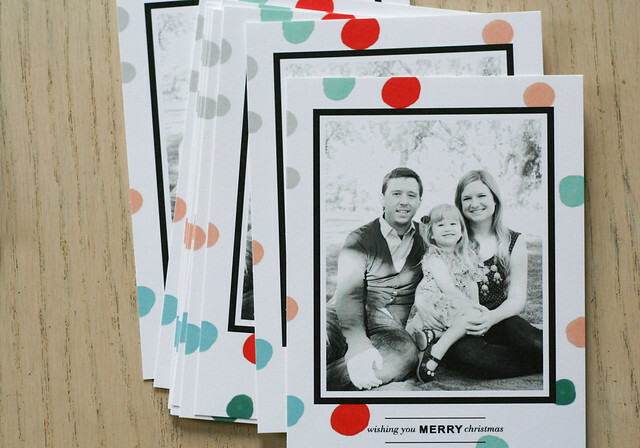 I love sending out Christmas cards too and can't wait to order ours! adorable photo! 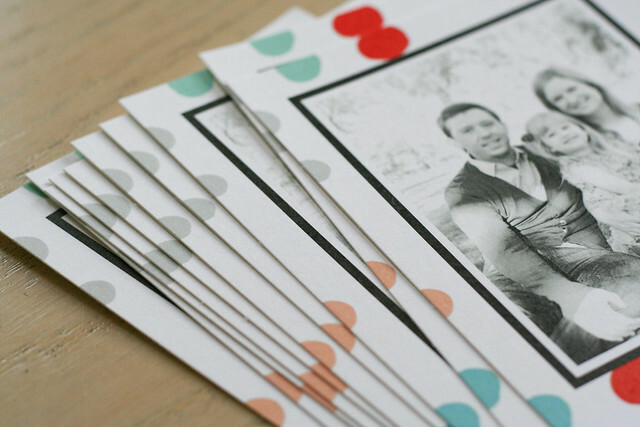 i like the washi tape idea - makes it seem even more diy, even though the front is printed online. 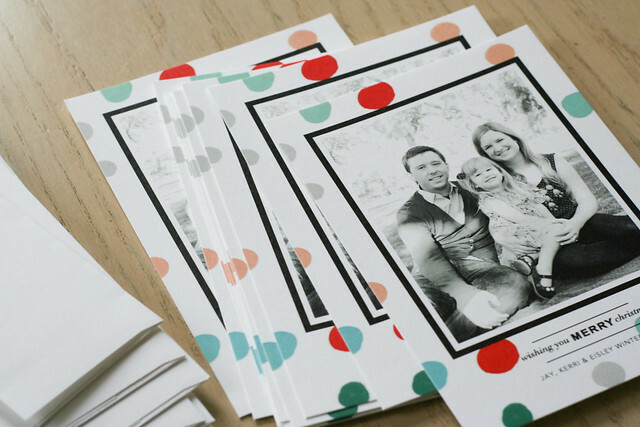 there are quite a few holiday card printing deals out there!